The use of this website and any related service is subject to your compliance with the Terms and Conditions of Use specified below. Your continued use of this website indicates your agreement to follow these terms and conditions of use. Please read the following terms and conditions of use carefully. If you do not agree, please exit this website promptly. The terms and conditions of use below cover the website of Memorial Health System, www.mhsks.org, and www.caringforyou.org, and related affiliate websites including www.storkstation.org, www.frontierestates.org, www.villagemanor.org, and heartlandlasik.com. Please contact us with any questions about this website. Written correspondence containing time-sensitive information should not be sent through e-mail. The contents of this website are for personal and non-commercial use. All copyright and proprietary notices must be retained on any copies made of any of the materials. The use of any materials may not be changed or altered in any way, reproduced, distributed, or used for any public or commercial purpose without written consent by Memorial Health System. The materials on this website may not be used on other websites without written authorization. All materials are copyrighted and unauthorized use of these violates copyright, trademark, and other laws. Any contact information on this website, such as e-mail addresses and/or phone numbers, are not to be used for solicitation or commercial purposes. Brand names or companies listed on this website do not constitute endorsement. This website contains links to other websites (independent third-parties). Please note that Memorial Health System is not responsible for the content or activities associated with other websites or entities that are linked to this website. Nor is Memorial Health System responsible for the privacy practices of such other websites. The information contained in this website is for informational purposes only and is subject to verification. The information provided on this website is not a substitute for medical advice. This information is not to be used for diagnosis or treatment of a disease or health condition. Memorial Health System does not give specific medical advice. Always consult a qualified healthcare professional for your health needs. User assumes all responsibility and risk from using this website. The materials and information provided within this website are provided “as is” without any warranties of any kind. Reasonable efforts are made to have information as accurate and complete as possible; however, information could be incorrect and contain errors. In addition, even though we make every effort to keep this website current, there are no guarantees that the information presented is the most up-to-date information available. Memorial Health System or any other third parties mentioned in this website will not be liable in any way whatsoever for direct, incidental, consequential, indirect, punitive or special damages of any kind, including but not limited to damages for loss of revenue, loss of data, loss of business or business interruption arising out of the use or inability to use this website or any website linked to this website, or any errors or omissions in the content contained at any or all such websites. 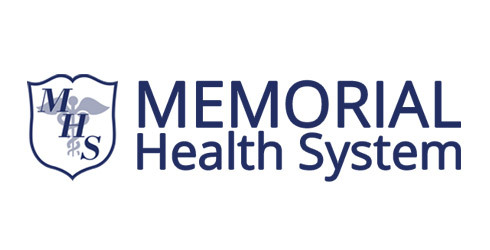 Memorial Health System expressly disclaims any and all liability related to, arising from, or connected with a third party.